This is a seriously funky beer. If Jimmy Buffet was not making Land Shark Larger, he would be brewing this. This is a really tropically flavored beer. 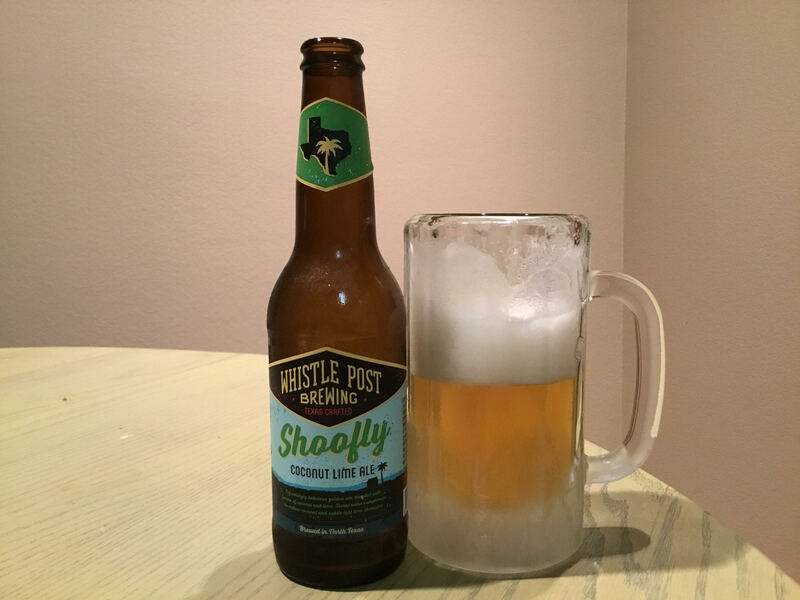 Shoofly Coconut Lime Ale is a refreshing golden ale blended with natural flavors of coconut and lime. Floral notes complement the mellow coconut and understated lime flavors. The coconut and lime really come through at the finish. When you first open the long neck bottle the coconut is slightly overwhelming to the nose. This ale is 5.2% ABV and only rate 18 IBUs. The beer is crisp and flavorful and I would serve it on a sunny summer day at the beach or with spicy tropical foods from Thailand or maybe jerked chicken, good barbecue or even Mexican food.